If you’re thinking about trying your hand at a game of HORSE, chances are you’ve been doing well at the tables and feel ready for a new challenge? Or maybe you’re just curious because of its reputation, like some secret club only the best players get to join. After all, it was a game borne at the most coveted poker tournament on the planet, the WSOP. So, that must mean it’s the crème de la crème, right? There are several mixed games, all using acronyms of their individual varieties, but not all roll off the tongue like HORSE does. It is the crème de la crème, that’s why it’s used so often as the final for the best tournaments, and all the secret ones with eye-watering amounts of money we couldn’t count if we tried. 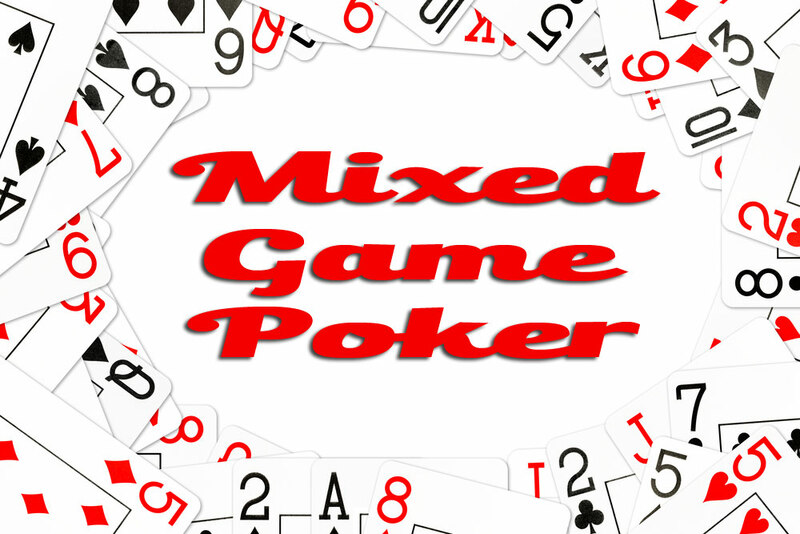 Combining 5 variants into one unique mixed game, it’s designed to test and flex even the best player’s poker muscles. But because you’re awesome, you’ll do it. It’s a game which keeps things balanced, everyone getting a shot at playing their favourite. But this isn’t one of those games you just take a chance at because you’ve nailed a few of them, you’ve got to know how to play each one first (and be winning more than losing), then you’ll be ready to mix ’em up. Who knows, you might find yourself at the WSOP next year, with a guaranteed million or so in the bank for your efforts. Once you know how each is played, all you need to know is how they change slightly when they’re mixed for HORSE poker games. If you’ve stepped inside a poker room, this classic should be familiar. Commonly referred to as Hold’em, it’s played throughout the world as a no-limit game. The only difference in HORSE is that it’s a fixed limit. Like Hold ’em, but you have to choose 2 centre cards, plus 2 of the 4 hole cards from the dealer. The pot here is either no-limit or pot limit. If you can play Seven-card Stud, you’ll pick Razz up in no time. But in HORSE, there’s no centre cards and Ace is low; you also want the lowest hand of 5 from the 7 cards dealt, not the highest. In HORSE, Seven-card Stud, often referred to as just Stud poker, is played without any centre cards too. Unlike Razz, to win, you need to create a high hand instead. You might be curious what all the fuss is about by now, you might be muttering to yourself how all the games are easy enough. Not this one. This one makes some players sweat. It’s the most challenging of the 5. In essence, it’s a mixture of the previous 4. You’ve got two challenges: to form the highest AND the lowest hand. Why? Because the pot is split to win in either scenario. It’s all about following the rules. Keeping track of them is brain-numbing to most of us. Yet, the truth is: rules are what makes a player really good. You should memorise every single one. Luckily, here you only need to remember 5 basic ones. You’ve got to play all the games. Nobody cares if you’re crap at it. But if you all decide you don’t want to play it, you can ditch it, just say so before the game starts. So everyone knows which game is in rotation, there should be a symbol to represent it. One rotation only, with the dealer button changing too. You might be on the verge of the best hand ever, but rules are rules. If you’re playing in a tournament, seriously, you can’t change anything once it starts. TIP: exploit every free poker room you can and flex!